One of my little boy’s milk teeth fell out recently. He now has two outsize grown-up size teeth at the centre of his mouth, and a space each side of them. He looks like a rodent. “Do you want to leave it under your pillow for the tooth fairy?” I asked him. “Or do you want to leave it in a cup in the kitchen for San Nicola?” asked his father. Yes, Italian children give their teeth to Saint Nicholas. Finally, now you know what Santa does all year while waiting for Christmas to come around again. He goes to Italy and dashes about collecting all the kids’ little teeth. It’s a marvel he’s so fat with all that work to do – it must be the Italian food. I wonder what he wears in the hot Italian summer? And does he get in via the chimney as per usual? In fairness, he doesn’t actually deliver Christmas presents to children in Italy. That job is done on January 6th by the Befana, a friendly old witch who puts gifts in your stocking if you’ve been good, and a knob of coal if you’ve been naughty. Choosing between the Tooth Fairy and Saint Nicholas is one of life’s complex challenges for my son. They both leave money and maybe a little toy in return for the tooth, so the choice has to be made on ethical grounds. “What does Saint Nicholas do with the children’s teeth?” asked my son. “Cor, don’t you know anything?!!! She makes them into magic fairy dust, to recharge the power in all the fairies’ magic wands!” explained the little lad. THIS IS NOT MY MOTHER-IN-LAW, THE GODMOTHER. 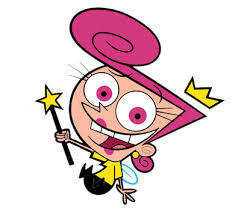 THIS IS A FAIRLY ODD FAIRY GODMOTHER. He decided the tooth fairy was getting his tooth, again. So, I am curious to know, what do children do with their baby teeth where YOU come from? I like the star story, that’s really sweet. I mentioned magic fairy dust to my son, and he invented the part about recharging the magic wands for himself. It’s funny, I never even wondered what the tooth fairy did with my teeth, so long as she coughed up the money! My German ex stepson lost a tooth and I told him about the tooth fairy…. so he flushed his tooth down the loo! (I don’t think this is customary there). So he didn’t get any money! I don’t see a prosperous future for that kid. I’m with your grandma…maybe I am your grandma! I started loosing my baby teeth (that’s what we call’em over here) when WWII started to wind down. Nobody cared back then as they we busy figuring out how to get their hands on some black market olive oil or real oil cured Maroccan black olives. Yum. I never heard of any sort of fairy, tooth or otherwise, until I got sent off to school where I learned that ‘Merican kids bartered their their fallen teeth for various alloys. My kids benefited from that lesson and so did I. Today I have a little tin box filled with various incisors, cuspids, bicuspids and molars. Every once and while I open that little tin box and savore the memories those little bits of dentin represent. I’d give them all back to their owners but the tin box is sort of a common grave and I have yet to determine whose is whose. Well I suppose when you’re trying to get your hands on some black market goodies a ‘fairy’ tale’s not much use to anyone! So what did your kids use to do with their baby teeth? US here…vote #2 for the tooth fairy. My kids didn’t care what became of the teeth. Just the money. I grew up near Chicago, and my Mother said that the tooth fairy took our teeth to make a necklace. We always were given a dollar for each tooth (my sons were updated to $5.00 a tooth). Loved this and am now completely confused. I think that Brussels should vote on who sorts out major childhood events in Europe before our kids turn into serial killers. My kids had the choice between the English tooth fairy or the French mouse (I have asked PF what mice could do with human teeth, and he has no idea). I suspect that there are regional UK tooth fairy differences: my Cornish tooth fairy took them to build her castle, but only the nicely looked-after teeth. My children soon sussed out that the tooth fairy was no good at late nights, so they took to leaving trails of instructions for her all over the house before they went to bed. OOPS. Bad fairy. Can you imagine EU legislation on tooth gathering? It would probably fall under the CAP. Everyone would have to adopt the French Tooth Mouse. Milk-tooth mountains would accumulate, whilst the Fench continued to insist upon getting higher tooth subsidies than the other countries. French primary school kids would blockade the motorways and ferry ports to make sure British teeth were not allowed onto the continent. The British would hold “Save the Tooth Fairy” marches, the government would take a hard line. Inevitably this would cause UKIP to win the next election in Britain, and we would leave the EU. Meanwhile Italy would legislate to enforce adoption of the tooth mouse, yet blatantly continue to employ Saint Nicholas just as before. Angela Merkel would send inspectors down here to enforce compliance and eventually Saint Nicholas would go on strike, filling all the steets of Italy with festering piles of tiny weeny teeth. Believe me, it would all be more trouble than it was worth. Stand for European Parliament please. I’ll vote for you. I seriously think I should – I’d sort them all out!!! completely – I grew up in Kent but this is what our tooth fairy does too, Decent teeth get a decent payment but any hint that they are not clean and shiny and they get nada! Great.. typical of the Italians to make it more complicated.. When my son was seven ish he lost a tooth, in his excitement he dropped it under my car, never to be seen again. In the morning he was very upset that the tooth fairy did not leave him a shiny pound coin. I suggested he had a look under the car as that is where he lost it. Amazingly he found the coin. Roll on 2 years and his younger sister came down to breakfast a little upset because the tooth fairy had not left her a shiny coin. I said “I didn’t know you had lost a tooth!! Did you put it under your pillow? Yes she said. Ok try again tonight, maybe she was busy. When they discussed the matter with me, I had a look at the tooth. mmm I said, it looks like a tooth from a little boy not a little girl. Eventually they owned up, and admitted they found it near where my son lost his tooth. At Christmas they received a letter from Santa, who mentioned, that over a drink with the toothfairy one evening, the tooth fairy said she needed to go and have a chat with Miss Lucy & Miss Sarah. I wish I had filmed the look of amazement and horror on their little faces. 🙂 I love this story! Your girls had a brilliant idea. Trust men to scare the death out of them with the Tooth fairy and Father Christmas ganging up on them. Pfft. I told them not to mention, that the tooth fairy took grandmas teeth, as it might upset grandma. My grandma brushed her false teeth under the tap. I turned into a tooth brushing fanatic over night. Your kids were made to make a million pounds! LOL! Hehehe! Here instead of the Tooth Fairy they have the Ratoncito Perez (The Mouse Perez). 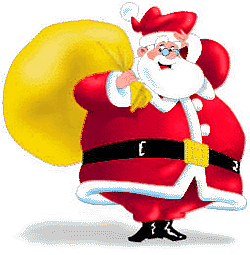 I was bought in Australia when I was young, Santa Claus came around at Christmas but in my house my Dad refused that and it was the 3 Wise Men that came around the same day as Santa Claus (actually, one year they made a mistake and the 3 Wise Men came a day early…). Later on in adulthood, I came to Spain and was perplexed to find out that the 3 Wise Men actually come in January, like the Witch in Italy! I have heard of those three wise men in Spain. I was told in some places, three (presumably very athletic) young men actually climb up via people’s balconies wearing turbans and golden robes, clutching gifts for delivery! So does anyone know what the Ratoncino Perez does with the teeth? Oh my word… all these stories are HILARIOUS! tHE EU-legislation vision had me in stitches and, um, I may have choked on my tea (thanks, btw). In Sweden we give the tooth to the tooth fairy as well. She’s cheap and stingy, though, and only gives a 10 SEK coin (about a euro’s worth) under the child’s pillow. No idea what she supposedly does with the massive amounts of teeth she no doubt collects, but somehow my kids have never questioned the fact that some of their teeth end up in small memorabilia pouches in a box. I save the teeth in a little jar. When I put the first tooth in it seemed very nostalgic, now there are more of them I am beginning to find it extremely gross. that would be because it is gross – chuck them out now – do not leave them in your will! With any luck, that shrewd, frugal Swedish tooth fairy will step in to save the day when the overly spendthrift English and American ones go bankrupt. – And then we would leave the milk tooth under the pillow, and Santa Apollonia would come in the night, and leave a little coin there in exchange. OMG, I remember Topolino but he was a mouse puppet on the Ed Sullivan Show! Gawd I’m old! Very confusing having a mouse AND a saint! And how odd that Santa Apollonia and San Nicola have shared out the duties in Italy. I love Santa Apollonia as the tooth gatherer. It makes the most sense of all these stories: kids giving her their teeth, as her own were all pulled out when she was martyred. Poor Apollonia! Oh, scary! So you were not at all happy about teeth falling out! In Europe, the kids are overjoyed… because it leads to money!!! Wow! I never heard of San Nicola for teeth, I guess it’s a Sicilian thing. On the “continent” we talk about the tooth fairy or sometimes about a little mouse who’s supposed to come at night, get the milk tooth and leave a coin, or a little gift in its place. We throw ours on the rooftop! Not quite sure which fairy comes to collect them 🙂 Or, some kids save them ’til they get bored to look at. That’s interesting – a Nigerian said they also throw theirs onto the roof! Where are you from Carmen? I’ve looked on your blog but cannot find it…. The beautiful island of Jamaica!!!! That’s also very interesting to note. I suppose that must be where the tradition originally came from. I’d love to know how widely in Africa they do that, or if they have other tradiations in other regions. Did you find his comment? He also said they have to run round the house 7 times, and if they don’t manage to get the tooth onto the roof their parents say their adult tooth won’t grow. Scary! BTW I’d love to visit Jamaica! I’ve seen photos, it looks stunning. Wow, just seeing this. I wonder how it came about too. Running around that many times would make me lose the tooth! 🙂 Ooooh, that must scare the kids to be careful. To be totally honest with you I think tourists know more about my home’s beauty than I do. Like you, I’ve seen the pics! 🙂 I’ve seen some of the island but not much, someday though I’ll have lots of photos to share. I do hope you get to visit sometime. Hope you enjoy your stay when you do get the chance to come. Soooo funny. I love the bit about the EU legislation (same here in the US I’m afraid). We have the tooth fairy, but evidently they do not share the tradition in Mexico as I found out the hard way. Working as a school nurse, I once had a student that was here on visa while her father worked in the university. She lost her tooth at school one day and I congratulated her and put the tooth in a special envelope to take home for the tooth fairy. She began crying and consequently could not muster enough English to explain her fear, after translation from another staff member I learned they did not share our “kind benevolent tooth fairy” tradition and the poor girl was afraid some strange woman was going to sneak into her bedroom at night! Boy did I hate to make that phone call to the parent, but I did and fortunately we all had a good laugh! That’s really funny 🙂 but….Oh! the poor little girl! Did you ever manage to find out what they actually do with their teeth in Mexico? I’m really curious now!